The thought of having a pest problem in your home or business is worrisome enough, but finding a company that will take the time to listen to your problem can be just as difficult – unless you find the right company. 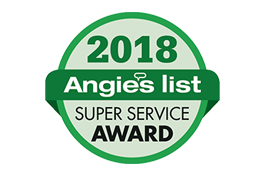 Here at Amherst Exterminators we are always willing to listen to your concerns and come up with a game plan that will fit your pest control needs. Cost and timely service is always out utmost concern. When you call us, we will try and handle the call as quickly and efficiently as possible. If we can’t identify the problem and create a plan over the phone we will dispatch a technician to your residence to find a solution. Treatments for common pests include baits, residuals, monitoring and injections if needed. Once the initial service has been completed there is a time frame that allows the treatment to work effectively. Keeping monitors in the area after a treatment has been applied will help to determine if additional services are needed to assure the problem is completely resolved. Baits especially may need to be reapplied or added in other areas, as they will be gobbled up by pests. It may take several weeks to complete the task of controlling the pests, and this is the part of the process that can be difficult for a customer to understand. 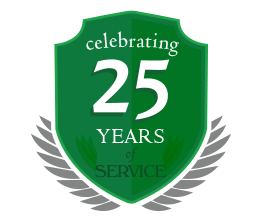 Amherst Exterminators understands that after you are charged the fee for the service, you expect results to occur as quickly as possible. We want this to happen just as much as you do, but results cannot always be guaranteed in just a few days. Some baits and treatments take several weeks to eliminate the problem, and the sanitation and mechanical steps that need to be taken along with treatments also play a role in the success of the service. Please keep that in mind when having a technician come out and service your location, and as always, feel free to call us at 716-908-2475 with any questions you may have!